Over-delivering on expected big advertising gains, Sinclair Broadcast Group posted 60% higher political revenues versus comparable midterms in 2014 and 20% more than the presidential elections in 2016. For the TV station group, third-quarter political advertising results hit $70 million, with expectations from the company to see $250 million to $253 million for the full year. Sinclair originally offered guidance of $160 million. Total Sinclair revenues rose 19% to $766 million in the period -- higher than analysts estimated. Net income doubled to $65 million from $32.6 million a year ago, which included $18 million in fee costs related to the terminated Tribune acquisition. 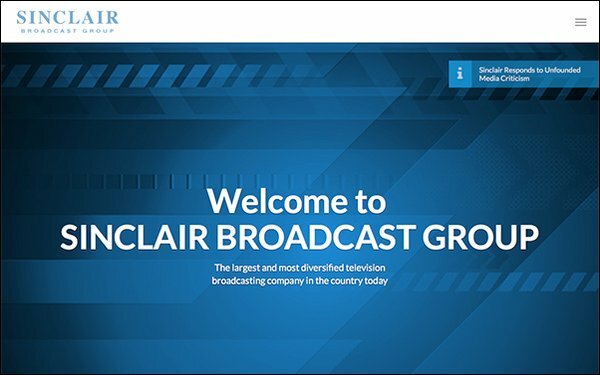 For the fourth-quarter period, Sinclair sees media revenues rising 20.5% to 22.2% higher over the year-ago period, $835 million to $847 million, and non-media revenues at $35 million from $19 million in the fourth quarter of 2017. Early Wednesday morning stock trading of Sinclair was up 2.4% to $31.30.